The Pawnee call themselves Chahiksichahiks, meaning, “Men of men.” They are federally recognized as the Pawnee Nation of Oklahoma and have four confederated bands: the Chaui (“Grand”), the Kitkehahki (“Republican”), the Pitahawirata (“Tappage”), and the Skidi (“Wolf”). Historically, the Pawnee lived along tributaries of the Missouri River: the Platte, Loup, and Republican rivers in present-day Nebraska and northern Kansas. 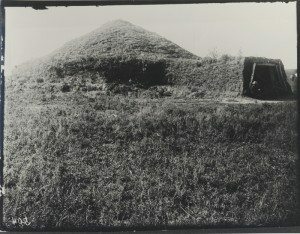 They had a long-established lifestyle on the Plains of permanent earth lodge villages that sat high above the river banks with bountiful crops planted along the fertile river bottoms below. 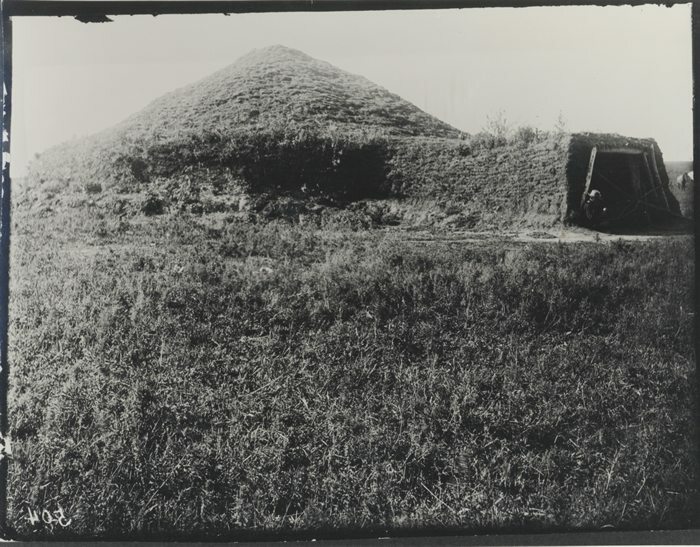 Villages consisted of 300 – 500 people in 10 – 15 households. They left the villages in the summer and winter to go hunt buffalo, using tipis while traveling. In the 1830s, the Pawnee numbered about 12,000 people and were one of the largest, most powerful tribes on the Great Plains. They had been relatively isolated from interaction with Europeans and therefore escaped some early population losses due to European-introduced infectious diseases, to which Native Americans had no immunity. Eventually, they were pressed by Siouan groups encroaching from the east, who also brought disease. Epidemics of smallpox and cholera, and endemic warfare with the Lakota and Cheyenne drastically reduced the numbers of Pawnee to about 3,400 by 1859. In 1874, the Pawnee requested relocation to Indian Territory (Oklahoma), but the stress of the move, diseases, and poor conditions on their reservation reduced their numbers even more. By 1900, the Pawnee population was recorded by the U.S. Census at 633. In the eighteenth century, the Pawnee were allied with their trading partners, the French. 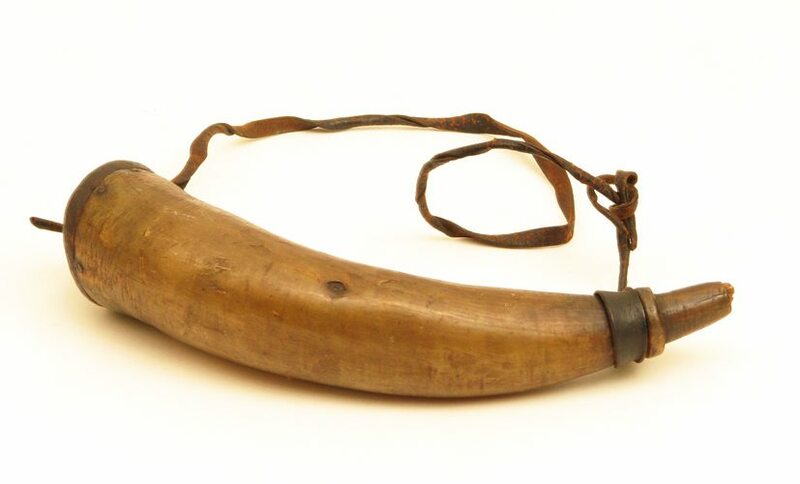 They played an important role in halting Spanish expansion onto the Great Plains by decisively defeating the Villasur Expedition in battle in 1720. 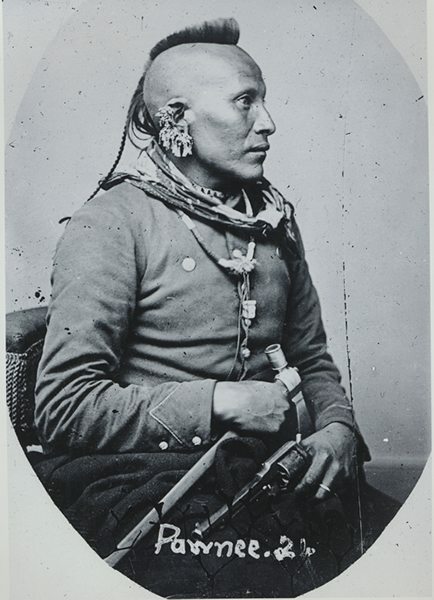 Many of the battles Pawnee warriors fought to preserve lives, lands, and possessions are legendary. Pawnee warriors had a distinctive way of preparing their scalp lock by dressing it with buffalo fat until it stood straight up and curved backward like a horn as in the photograph above. The Pawnee have served in all United States military conflicts to date, beginning with the Pawnee Scouts who were part of the U.S. Army, 1864 – 1877. 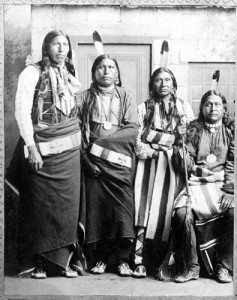 Since the Pawnee people were traditional enemies of the Sioux, Cheyenne, and Arapaho tribes, Pawnee warriors were recruited in large numbers, like other Native groups, to fight on the Northern Plains in various conflicts. They earned a reputation as being a well-trained unit, especially in tracking and reconnaissance. A ceremony was held October 15, 2011, to honor Bravo/Pawnee Company 486th Civil Affairs BN of the U.S. Army to alter their name to reflect the distinguished Pawnee tradition of service. 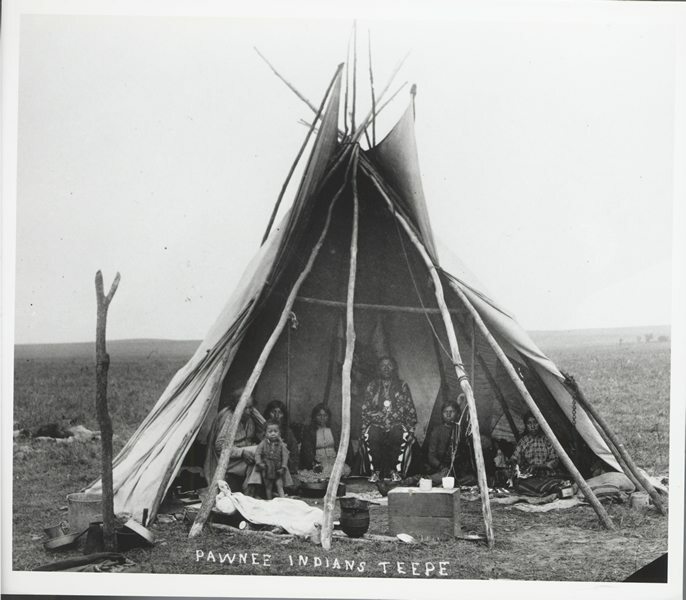 Today, the Pawnee Nation is about 3,400 people and tribal government and operations are based in Pawnee, Oklahoma.